Sour Pie Cherries are one of my favorite summer finds. In the late summer, the Farmer’s Market has frozen tubs of cherries and I hoard them until Christmas when I make Cherry Kolaches. I froze the extra cherry juice to make Cherry Granita. What a delightful, refreshing treat from extra juice. Put the cherry juice in the saucepan over a medium heat, along with the sugar. Cook until the sugar has dissolved. Remove from heat. Cool. Pour the cherry mixture into a shallow container and freeze, stirring about once every hour, bringing ice crystals from the edge into the center. It will take about 5 hours to freeze completely. To serve: Remove from freezer 5-10 minutes before serving. Fresh peaches are a summer treat! I have fond memories, as a kid, of biting into a fresh peach and have the juice run down my arms and all over my face. I was a sticky mess, but loving that peach! 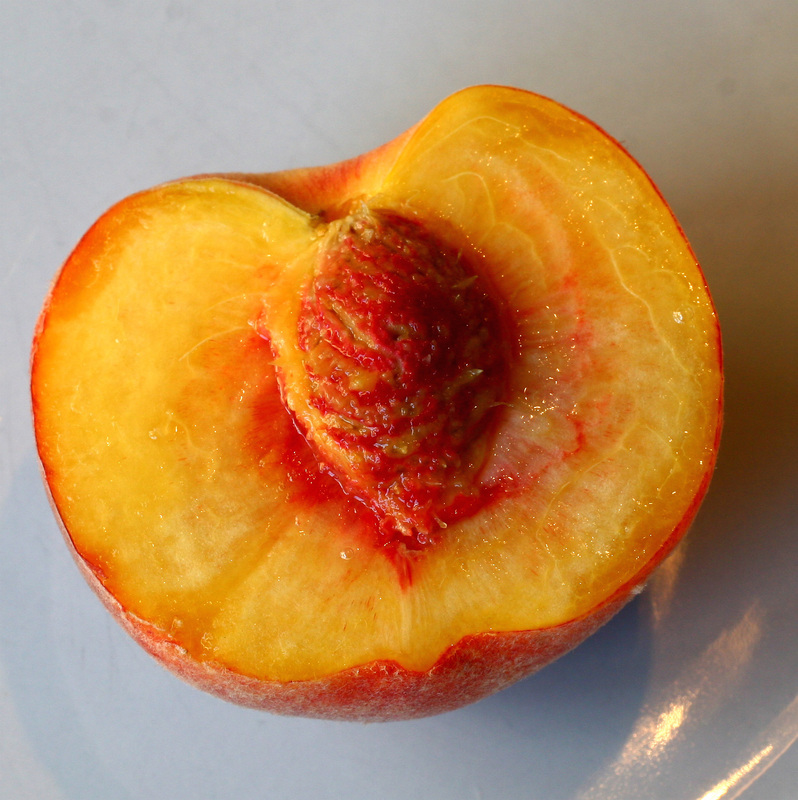 Colorado peaches are some of the best and I’m lucky enough to live in the great state that produces them. To date, I’ve not seen Colorado peaches at the market but Costco has had wonderful peaches this summer. What better dessert to serve visiting family topped with vanilla ice cream! The recipe is from my tried and true Farm Journal Country Cookbook, 1972 a gift from the folks at Farm Journal many years ago when I worked in Agri-Marketing for an ad agency in St. Joe, MO. The cookbook has seen a lot of love and even though it’s spine is broken, it continues to support my love of good home-cooking! Our Book Club potluck was coming up, featuring the book Proof of Heaven a Neurosurgeon’s Journey into the Afterlife by Eben Alexander, M.D. 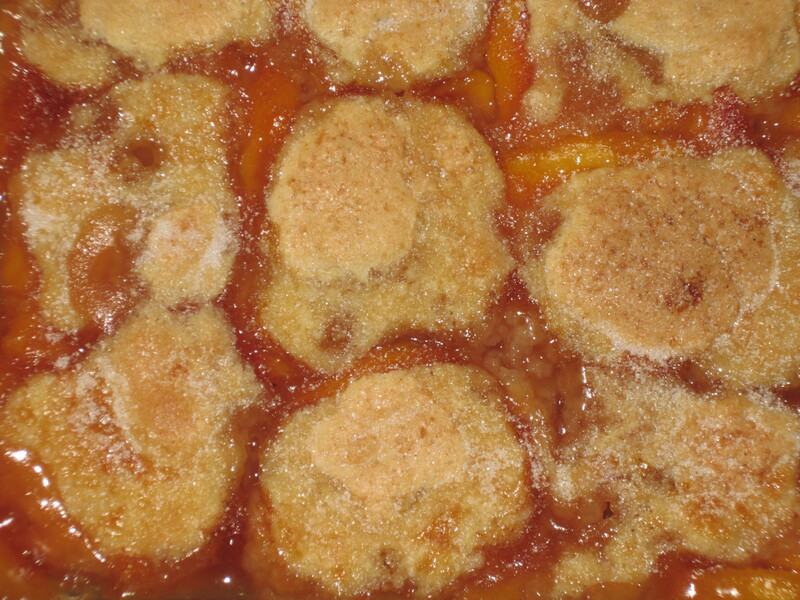 Our potluck theme was ‘what would you have for your last meal?’ I tripled the recipe so I could have enough Cobbler for the Book Club and for visiting family. It was hit with both groups. It’s delicious (even if I do say so myself) and a wonderful summer treat. Mix cornstarch, brown sugar, and water. 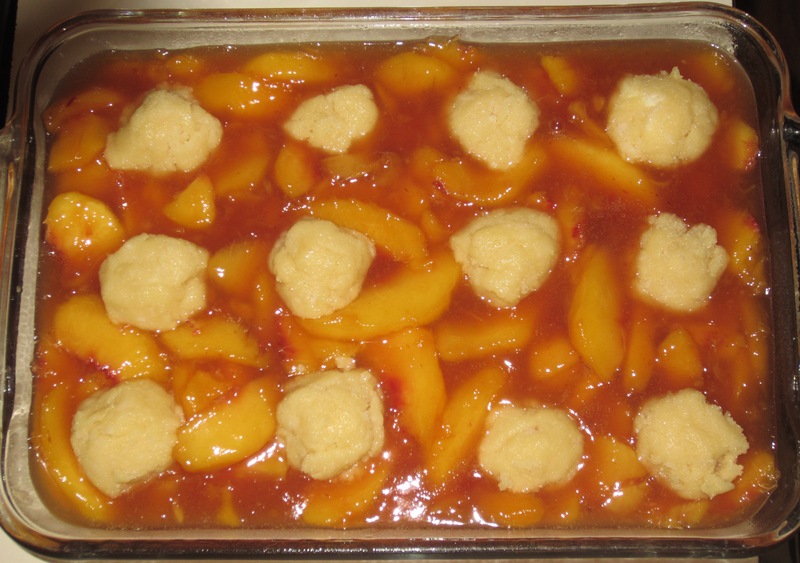 Add peaches and cook until mixture is thickened, about 15 minutes. Add butter and lemon juice. 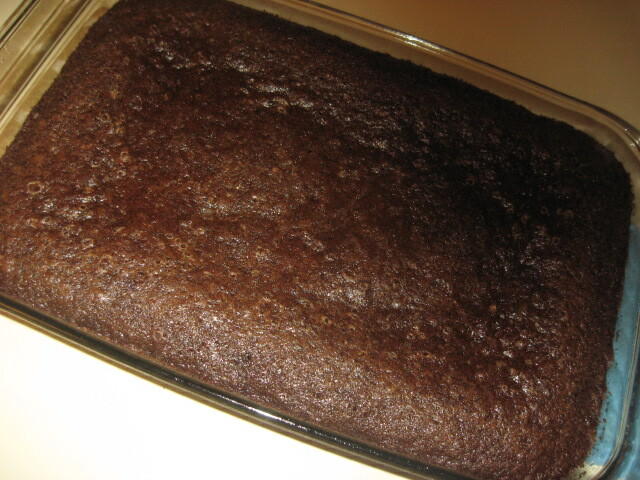 Pour into a greased 8″ round or square baking dish. Combine flour, sugar, baking powder, salt, butter and egg. Beat until butter is smooth. 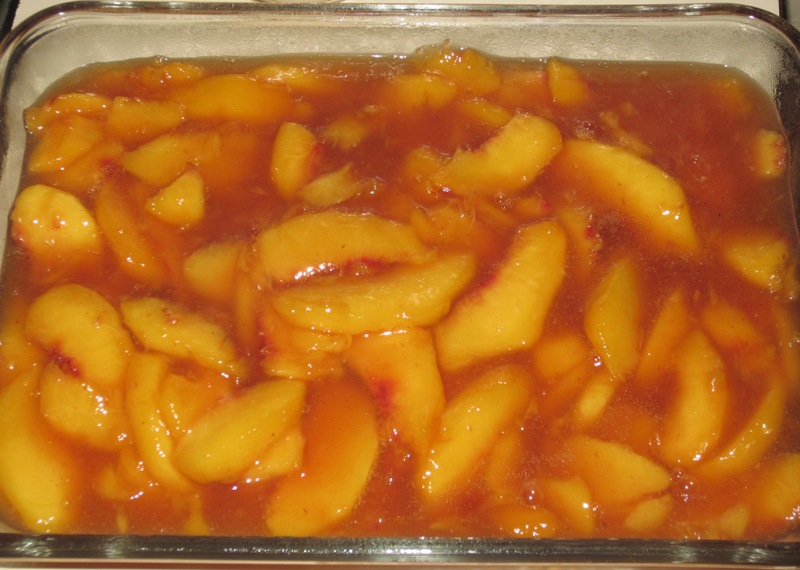 Drop spoonfuls of Batter Topping over hot peach mixture. 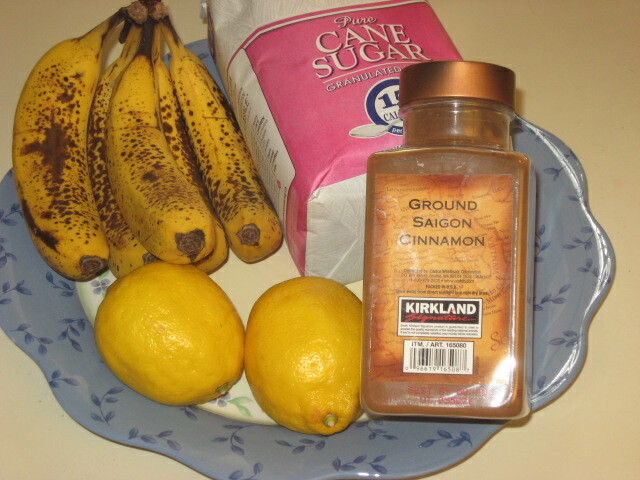 Sprinkle with 1 tablespoon white sugar. Bake in hot oven (400 degrees) 40 to 50 minutes. 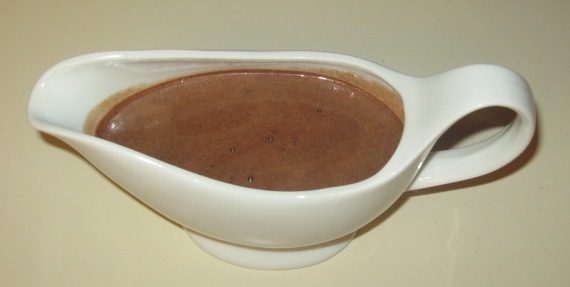 Serve warm, in bowls, with vanilla ice cream. What a delight to get up in the morning, dress and not worry about applying cosmetics or blow-drying my hair. At least that is what I thought until I looked at my pictures when I returned home. YIKES! That is why you are seeing more photos of food and scenery than of me. 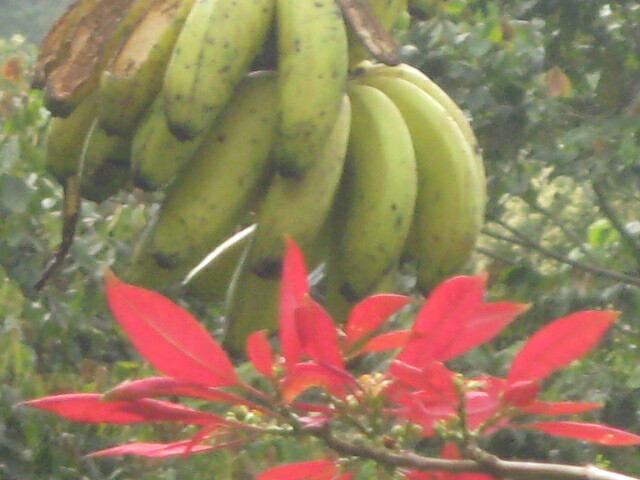 I would wander to the dining area in the morning to enjoy a fresh banana (craving one now) and a hot cup of that coffee! 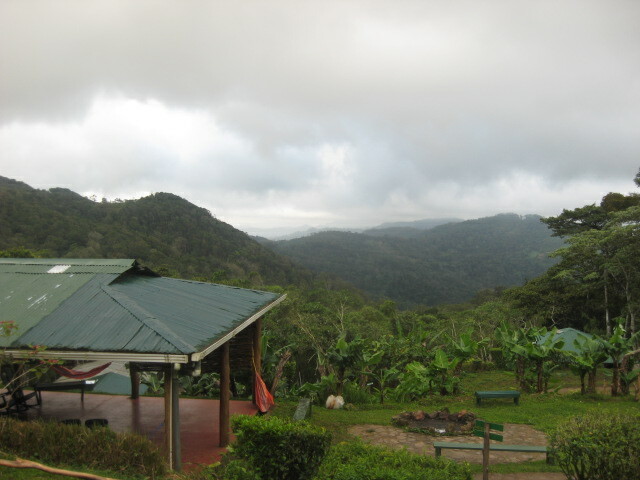 I take a moment to soak in the beautiful morning view while my travel buddies wander in, one by one to convene for breakfast. 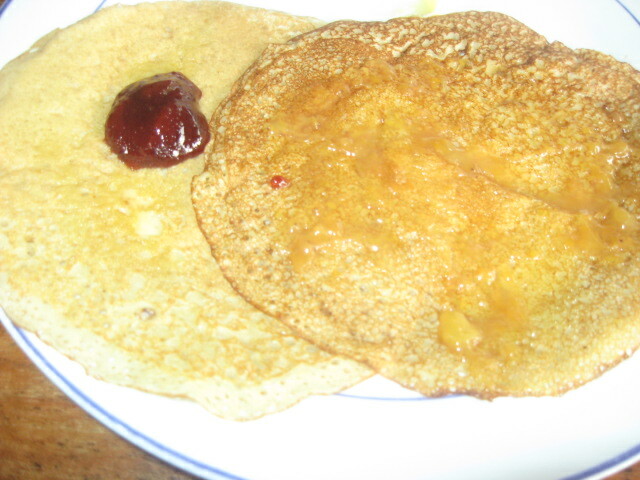 This particular morning, we were served wonderful pancakes with fresh jams. My absolute favorite was the banana jam. Again, I wonder how I’ve never tasted banana jam. Genius! When I returned home, I searched for Banana Jam recipes and found the following recipe in the Jamlady’s cookbook. I made it. I liked it. We served it at daughter Sarah’s bridal shower along with scones and clotted cream. It’s a cherished member of my growing collection of recipes. 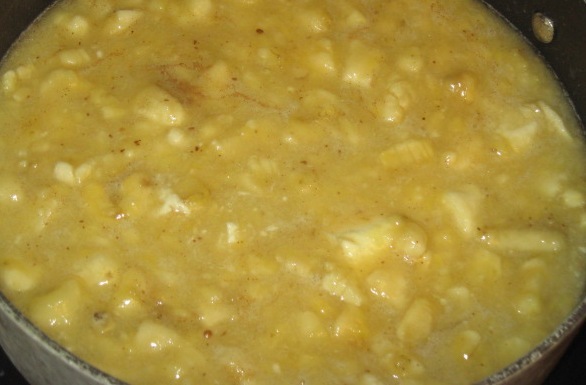 Mash the bananas and cook with the rest of the ingredients for 20 minutes. Stir continuously so the jam does not stick or burn. Cool . Jam with thicken. Optional: use food processor to blend. I did not freeze or can the jam but ate it all fresh! My next experiment will be to use banana jam in homemade ice cream. YUM!